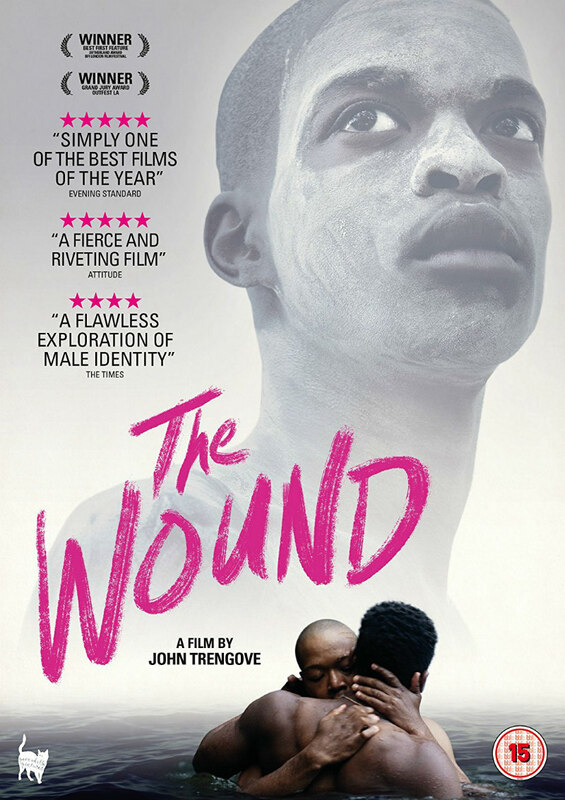 Did You Win Acclaimed South African Drama THE WOUND On DVD? We've got two DVDs of director John Trengove's acclaimed debut to give away. Set in South Africa, THE WOUND explores tradition and sexuality amidst the XHOSA culture. Each year, the tribe’s young men are brought to the Eastern Cape to participate in an ancient coming-of-age ritual. Xolani (Nakhane) a quiet and sensitive factory worker is assigned to initiate Kwanda (Niza Jay Ncoyini), a city boy from Johannesburg sent by his father to be toughened up through this rite of passage into manhood. As Kwanda defiantly negotiates his queer identity within this masculine environment, he quickly recognizes the nature of Xolani’s relationship with fellow guide Vija (Bongile Mantsai). The three men commence a dangerous dance with each other and their own desires and, soon, the threat of exposure elevates the tension to breaking point. The Wound is released on UK DVD June 18th by Peccadillo Pictures, and we've got two DVDs to give away to UK readers.